Beautiful. Have a wonderful celebration today! I’m not sure I have ever commented on your blog, but I should have, I so enjoy it. I think the first time I looked at it was when you featured old prom dresses. I actually laughed out loud. Your posts on LOST are excellent. Often my husband and I are completely lost in the episode, but we hang in there. It had better not be a dream. 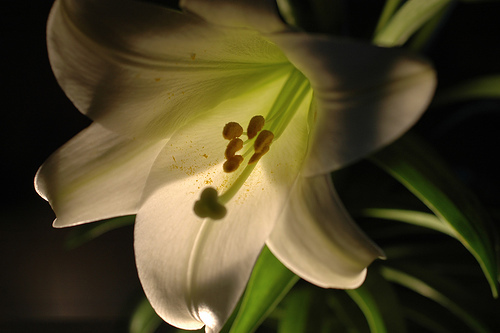 I didn’t find a post about LOST this time, but a beautiful reminder of the gift we have been given at Easter…He is Risen..Happy Easter to you too! Easter is my favorite time of year! Where would we be without it? Love your blog. It’s truly an inspiration for new bloggers like me. I look forward to your posts! Oh, my, Shannon, that is a beautiful quote. Thanks.